Christie Barlow is the author of A Year in the Life of a playground Mother, The Misadventures of a Playground Mother, Kitty's Countryside Dream, A Home at Honeysuckle Farm and Love Heart Lane. Her writing career came as somewhat a surprise when she decided to write a book to teach her children a valuable life lesson and show them that they are capable of achieving their dreams. The book she wrote to prove a point is now a #1 bestseller in the UK, USA & Australia. Christie is an ambassador for @zuriProject rasing money/awareness and engaging with improverished people in Uganda through organisations to improve their well-being as well as Literary Editor for www.mamalifemagazine.co.uk bringing you all the latest news and reviews from the book world. As I absolutely love Christie's books I love couldn't wait to read this. That cover is so pretty I thought I was perfect. The story itself is just beautiful and very heart warming. You just become so attached to it. I couldn't wait till the evenings so settle and read Flick's story. I loved the location it sounded like a lovely wee place and I just love Scotland myself. The other characters are great too. I had tears in my eyes a few times it is pretty emotional. 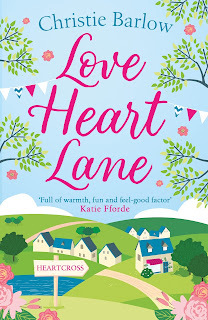 A wonderful start to the Love Heart Lane Series and I am so excited to read the next one. I am so thrilled today to be part of the cover reveal for the latest book from Heidi Swain. 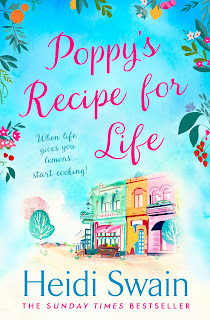 It's called Poppy's Recipe for Life. I can't believe how absolutely gorgeous the cover is and I am so excited to read this. So here it is. . 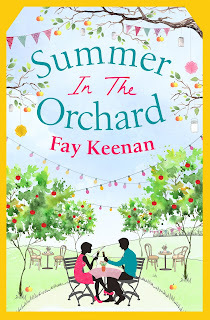 Treat yourself to a glorious novel full of food, sunshine, friendship and love. 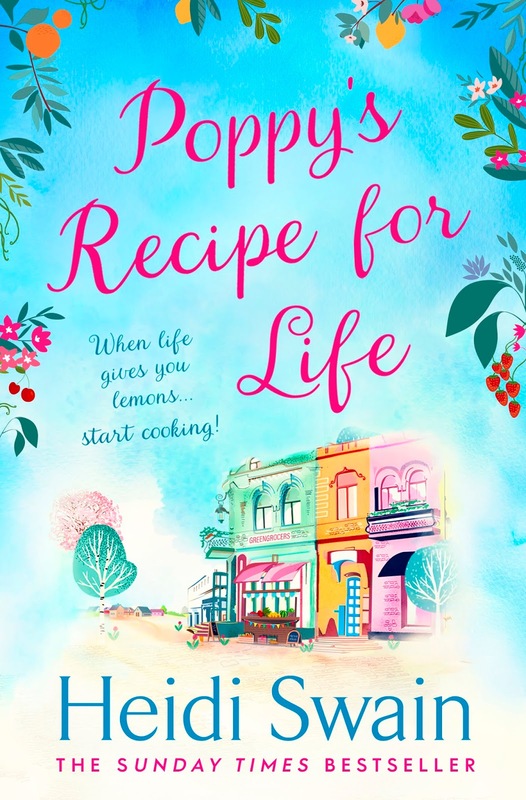 Things haven't always been straight forward in Poppy's life but her dreams are finally within her reach. I have absolutely adored the previous two Little Somerby books so I was so excited for this part and oh wow it did not disappoint it was fabulous. I just love the characters and it was so nice to be introduced to the new characters has well as having the previous characters featuring heavy in it. A really beautiful read, one that just captures your heart. ‘So I’ve heard,’ Alex said. His tone was light, but Sophie noticed he bit his lip as he replied; he must be pretty nervous about being here and want to make a good impression. ‘And what do they think about it? Your parents?’ Sophie asked. 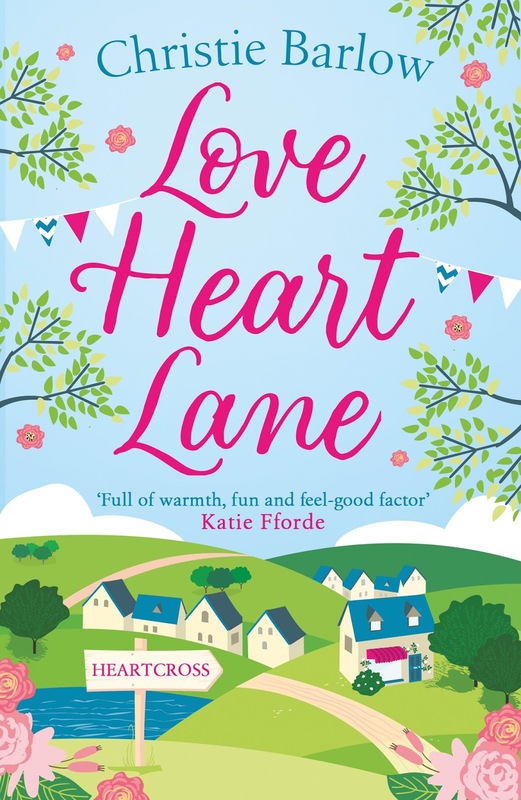 Sophie’s heart lurched. ‘I’m sorry to hear that,’ she said. ‘Sure,’ Alex replied. He seemed to hold her gaze a little too long, and Sophie felt her cheeks growing warm. 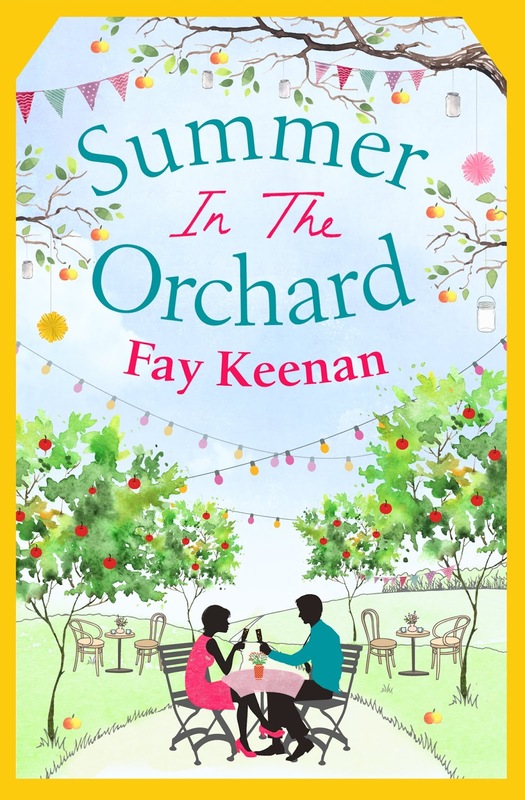 She made it a rule never to fancy anyone at work, and for ten years she had stuck to it; workplace romances were just too awkward, in her opinion. She’d seen Laura’s devastation when she’d split up with her last boyfriend, who still worked in the cannery, and she didn’t want to get involved with someone she’d be forced to see every day if things went wrong. After her heartache over Mark, too, she was on her guard even more. There was no doubting that Alex was attractive, though. Banishing the thought from her mind, Sophie started by showing Alex the cider vat floor, where the forty-eight enormous steel vats stood, ready to be filled with the apple mixture that turned, like magic, into the bestselling varieties of Carter’s cider through its own process of natural fermentation. This truly was the industrial arm of the business, and as Sophie explained about the thousands of litres of cider that were produced here every day she saw Alex shaking his head in mild disbelief. Moving on, Sophie showed Alex her favourite part of the farm, where the oak vats were kept. Pushing open the door to the barn, she paused, inhaling the scent of oak and age. The vats exuded a sense of timelessness, dark and mysterious in their presence. They were the jewel in the crown of the business. ‘These go back to the very start of things,’ she said, as she pushed open the door further to admit Alex. ‘They’re what most people think of when they think of cider, although they tend to only hold the speciality varieties these days – Eloise, of course, and the Vintage years, as well as the seriously strong Somerset Sprite.’ Walking through to where the first vat stood, she rested a hand briefly on the side of it. Thirty-four feet high, and fifteen feet in diameter, made of oak that once housed the finest Scotch whisky, their slats were roughened and darkened by decades of use. It was as if they were still living, still breathing, still watching. Alex circled the vat, craning his neck upwards to take in the sheer height of them. ‘They’re beautiful,’ he murmured. ‘Breathtaking.’ Following Sophie’s lead, he placed a hand on the side of the nearest vat, feeling its rough texture under his palm. ‘They’re stunning, aren’t they?’ Sophie agreed. She couldn’t help herself; her eyes drifted from Alex’s face to where his hand, fingers splayed on the side of the barrel, rested, back to his lips and then down his body. He seemed completely lost in the moment, and she felt a jolt of something that felt very definitely like attraction. His eyes were wide, lips slightly parted; he was clearly entranced by the sight, sound, scent and touch of the ancient wooden structures that gave the barn its name. Get a grip, she thought. No relationships at work, remember? ‘There are a couple of smaller ones in the shop.’ Sophie smiled. ‘I’m sure you’ll have plenty of chance to see them and taste it all over the next few weeks, too. Although I’d bear in mind that some of our varieties can give you quite a sore head if you have too much of a good thing!’ Sophie remembered quite a few of her own nights lost to Somerset Sprite, back when she was a teenager.